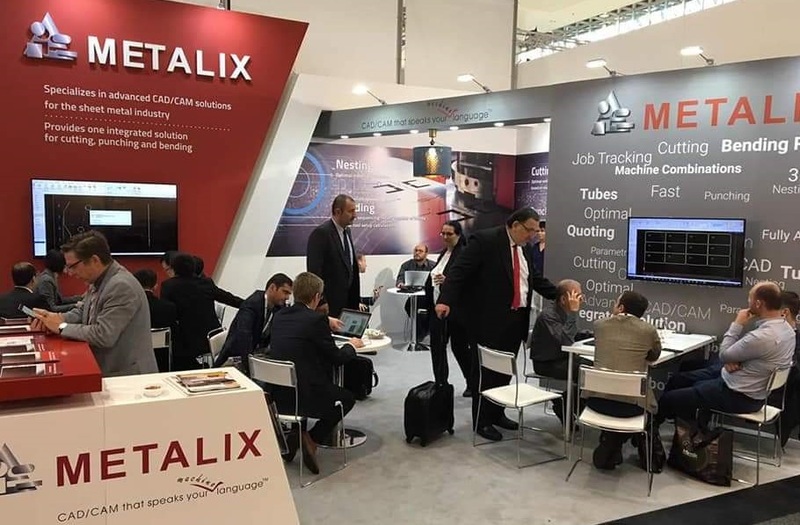 Potential and existing customers thronged the beautiful Metalix booth at EuroBLECH 2018, eager for the latest news on all Metalix products. The show was very intense, with many visitors in our booth, plus demos and meetings at our partners’ and competitors’ booths. MBend received a lot of attention, as did MRobot (currently undergoing beta testing). A package combining cncKad Laser+MBend also generated a great deal of interest.